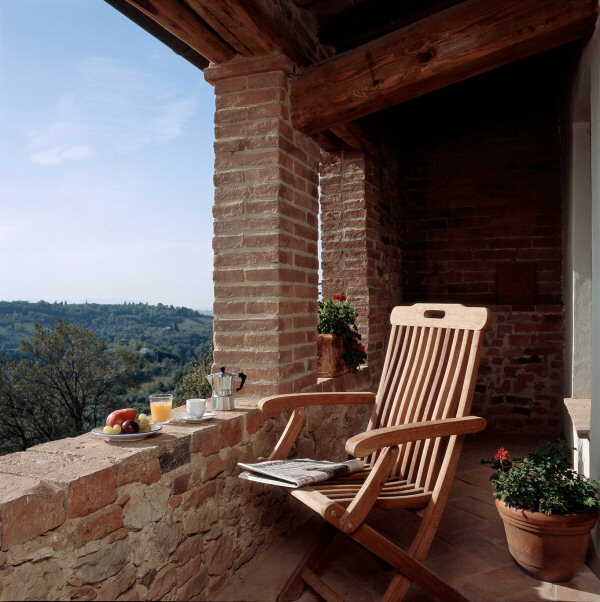 The special feature of this room is the covered balcony, or 'loggia' overlooking the garden and view. This room belongs to Madelyn, who is now almost 15, and hence it has some of her art supplies and her soccer ball... 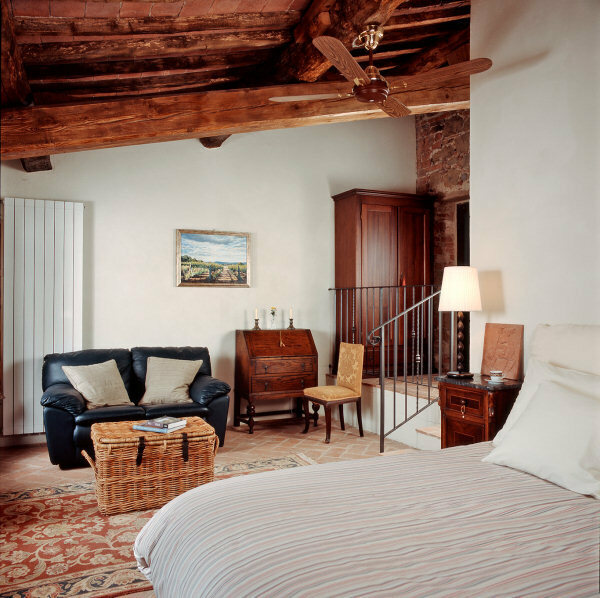 In it you will find a matrimoniale bed, a leather settee, antique drop-front desk. 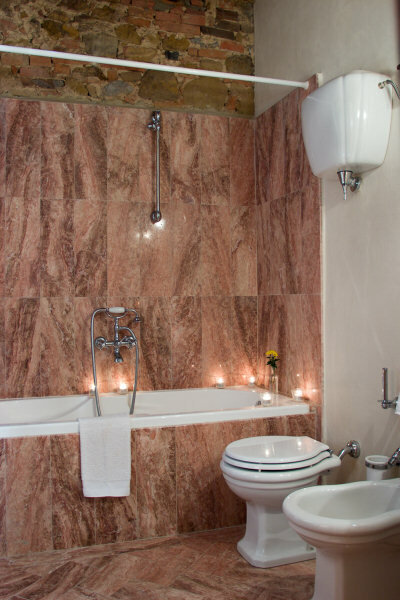 The bathroom has a deep tub/shower with a Persian travertine tub surround and floors. © 2018 Villa Maddalena. All Rights Reserved.